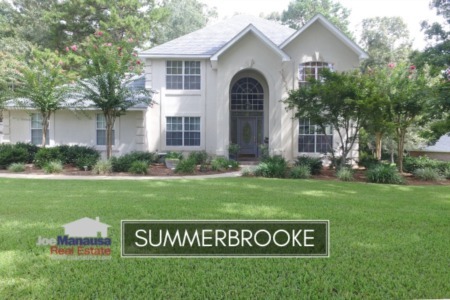 Summerbrooke is a golf course neighborhood located in the heart of the hottest zip code in Tallahassee (32312). A-rated schools draw buyers to these large homes that wrap around a challenging golf course and club house. 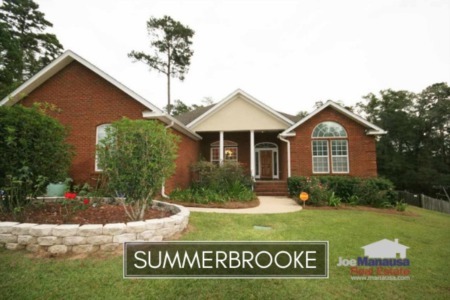 Our past reports on home sales in Summerbrooke have shown this to be a very stable neighborhood, and we expect its popularity to increase due to the added shopping and dining in the Bradfordville area. WIth 18 homes currently on the market and 12 already under contract, don't expect well marketed homes to be available for more than a few days. 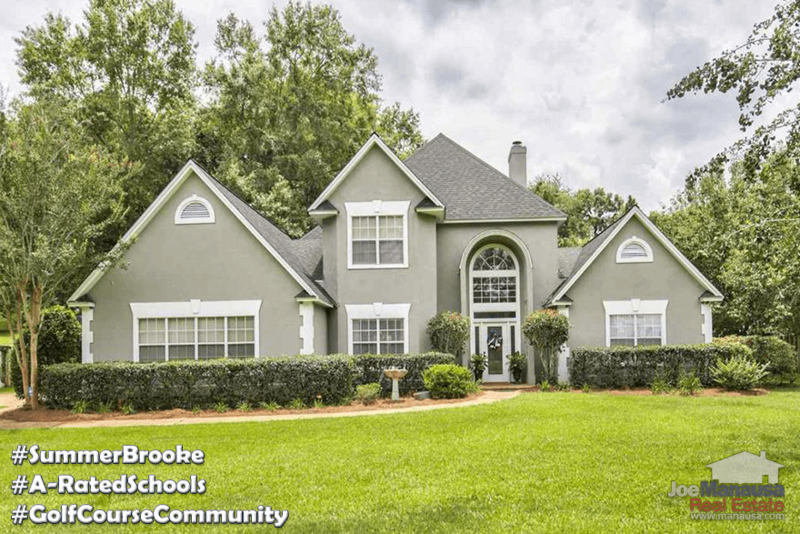 Buyers continue to tell us they favor the A rated schools here (Hawks Rise Elementary, Deerlake Middle School and Chiles High School), and they are patiently awaiting new inventory each day. It is important to note that the narrative contained below is for sales through December for all previous years, but through the 10th of June in 2017. The graphs and the closed sales table will be continuously updated into the future (meaning bookmark this page if you always want to know the current status of homes in the Summerbrooke). The average recorded home price for Summerbrooke in 2017 has been $344,800, which is nearly 8% higher than what homebuyers paid here on average last year. As we approach the end of the first half of the year, there has been 13 closed home sales in Summerbrooke and 12 that have contracts pending. This suggests that there will be far fewer homes sold in Summerbrooke in 2017 than have been recorded in each of the previous five years. Make no mistake about it though, this is a seller-side issue, not a lack of demand. Should numerous residents decide to sell their home, they will sell (and fast). In fact, if you are thinking about selling a home in Summerbrooke, let us know and we will help you get top dollar for your home and have it under contract within moments of hitting the market. Average home values have already climbed more than 5% in 2017 when compared to the average recorded all of last year. Inventory remains fairly low and properly marketed homes are selling right away, so buyers are jumping when a good deal hits the market. As of this writing, the average value of a home in Summerbrooke has been $135 per square foot. This remains 14% BELOW peak of the market values in 2006 and 17% ABOVE bottom of the market values in 2012. Expect to see values move higher. The average home size sold in Summerbrooke typically falls in a range of 2,400 to 3,200 square feet, and 2017 has seen smaller homes selling thus far. The 13 home sales in 2017 have averaged 2,525 square feet. The following list shows more than 1,500 home sales in Summerbrooke going back to 1991. I hope you enjoyed our June 2017 update on home sales in Summerbrooke, please feel free to drop me a note if you have questions not covered in this report.